After many years of work in Sharm el Sheikh, Valentina Maffi, Andrea Ferrario and Andrea Pusceddu have felt the need to come off the diving industry to try to create a friendly, comfortable and above all family Diving Center and chosen Marsa Alam. The Seaworld opened in July 2007, owners Valentina Andrea Ferrario and Andrea Pusceddu always placed the care and customer satisfaction as thier main objective , as well as Professionality of staff and efficiency of equipments. SeaWorld Diving Center Marsa Alam is located in The Three Corner Sea Beach 4****Resort and NOVOTEL 5*****Resort. Both diving center are located directly on the beach, in front of the jetty, where is the easy access to the sea and the barrier reef and where every day are planned dives and night dives. The weekly program of the diving center offers a wide choice of diving sites, from the shore in the beautiful bays nearby, full day by boat, the famous Elphinstone Reef (with our speed boat) and the National Park of Dolphine House. Seaworld diving center also offers the possibility to rent all the diving equipment and also for snorkeling, classroom and teaching materials for courses, a reception, a boutique, tanks for rinsing the equipment (the ground staff will take care of washing equipment) and covered space for drying.area. All the staff of Seaworld is committed to all thier guests courtesy, cheerfulness, competence and professionality. For those who do not want to pay the annual membership fee to underwater insurance Seaworld offers the opportunity to take out DAN insurance directly to the diving center, which is valid for 7 or 14 days. The accepted currencies for payment are: Euro, Dollars and Egyptian Pounds. We also accept credit cards VISA, MASTERCARD with 2% commission on total amount bill. The documents required for divers are: diving certification, logbook, copy of passport or identity card and if you need a medical certificate. 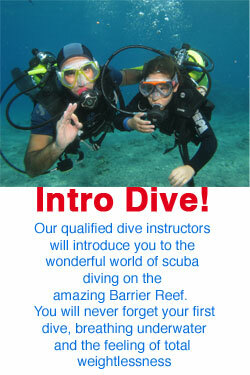 For all divers staying in other Hotels, and want to dive with SeaWorld, we provide free transfers. Three Corners Pensee, Dreams Beach, Akassia Resort, Coral Hill Resort, Mangroove, Sentido Oriental Coast, Radisson SAS, Movenpick, Flamenco Hotel. Iberotel Coraya, Jaz Lamaya, Jaz Solaya, Jaz Dar el Medina, Jaz Samaya, Resta Reef, Grand Resta Resort, The Palace Port Ghalib, Siva Port Ghalib, Port Ghalib Resort, Marina Lodge, Rehana Royal Port Ghalib Resort, Marina View Port Ghalib, The Three Corners Fayrouz, Shooni Bay, Nada Resort, Tulip, Concorde, Three Corners Happy Life, Hilton, The Three Corners Equinox.